It’s not always easy to achieve the right blend of style and comfort, but we show you how to perfect the balance. 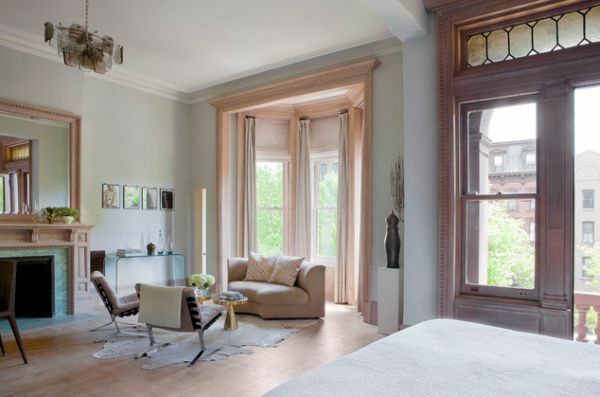 Pastel colors can aid in relaxation when you enter the room. Blue is especially calming, plus it can work in ornate, classy designs. Comforting colors provide a calming effect to lavish surroundings. Tone Down a Formal Style. Having a room design that is simple and structured can sometimes lack warmth, which is crucial for the injection of comfort into your living space. 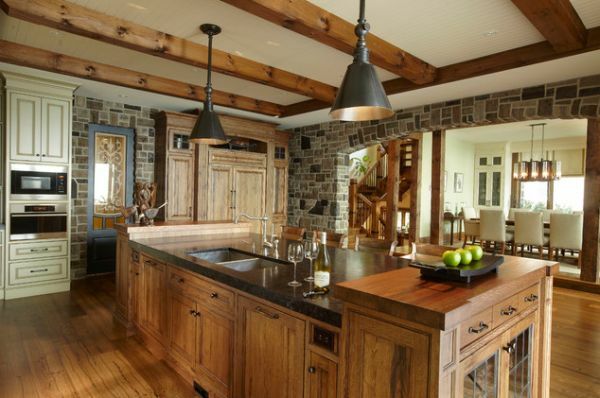 You can achieve more of it with wood furnishings or bright lighting options that give the room approachable appeal. 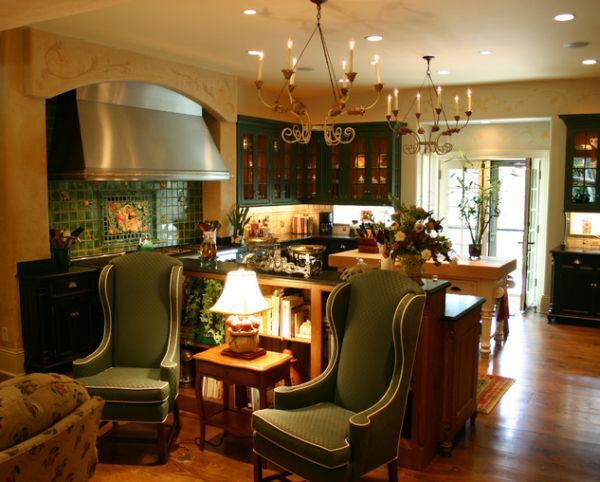 A bit of eclectic charm works wonders to mix comfort and style. However, when blending classical and contemporary looks, make sure that the result is not too messy as this can cause chaos instead of calm. 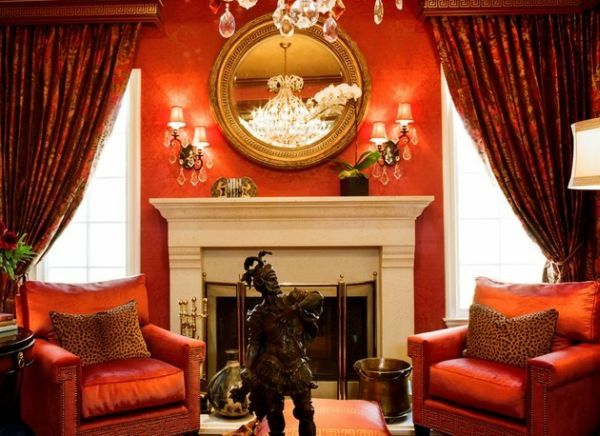 To remedy the situation, choose solid colors in your furniture and then bring a burst of color in a unique item, such as with a turquoise chandelier. Not too overwhelming, the small contrast has a big effect. If you’re using a relaxing but cold color, such as blue, it helps to balance it out with some warmer tones such as pastel peach or yellow. The blend of warm and cool hues is important so that you achieve a balance that instils a soothing, yet sophisticated living space. 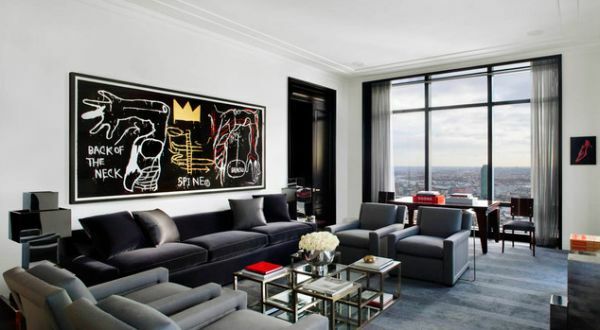 A décor item that is unique and interesting is always welcome in a room. 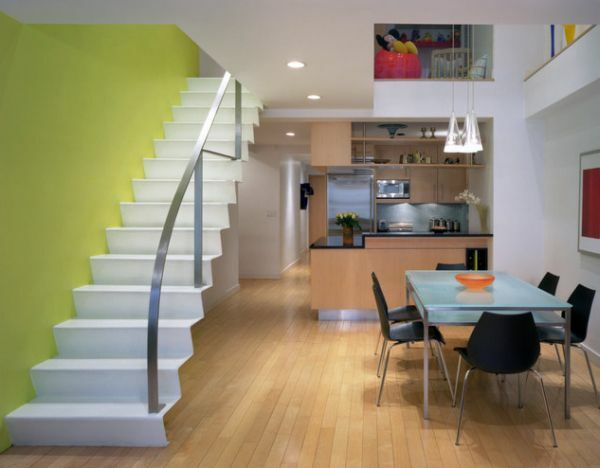 It instantly works to bring something whimsical, making the space more hospitable. Perhaps because it is so creative! Although the use of metals in the home can evoke a sense of strength, mixing them in various ways can help to bring an element of comfort. A tip is to choose a metal that you want to be your main piece in the room and then balance it out with a contrasting metal. These metals will work together to create a warm, yet trendy result. For example, a gold framed mirror in the living room works beautifully with bronze statues or even metal colors in the cushions. Use Different Shades and Textures in the Same Color. Although washing an entire room in one color might make you think the result will be hard and cold, this is not always the case. If you choose a color such as grey but give it a chance to work in different textures and shades in the décor, this creates an attractive result. 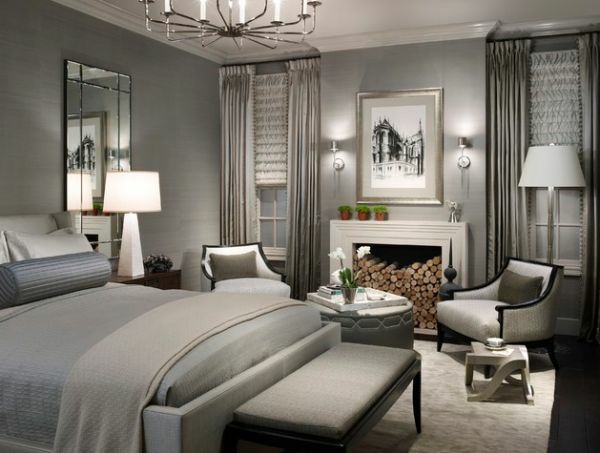 For instance, matte grey bedding works well with a sparkling mirror and silver picture frames. The gently changing shades of the same color can instil comfort while looking exceptionally stylish. Experiment with matte and gloss surfaces or textures, as well as pale versus bold shades of the same color. Shapes can Strengthen and Soften. Although soft textures can be an important aspect of bringing earthiness and warmth to your home, shape is equally vital. 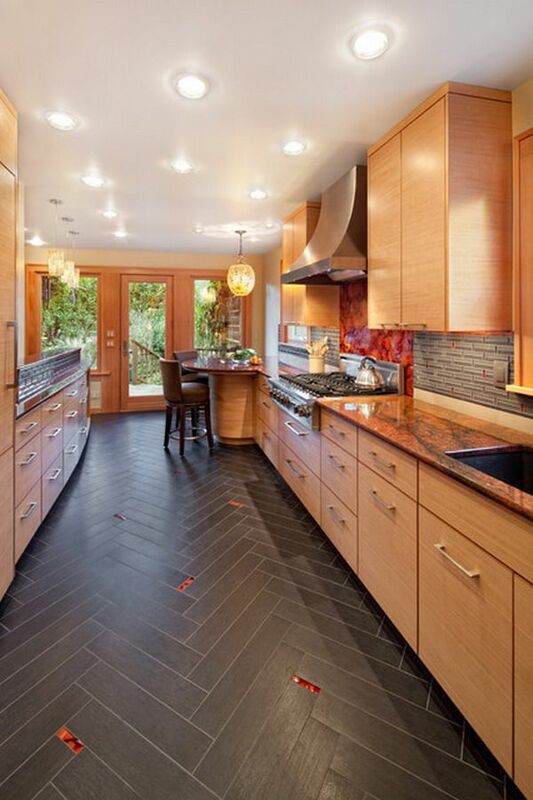 In the kitchen seen above, the geometric lines of the flooring are measured with the round light fixture, spotlights, round kitchen table and curved cooker hood. In this picture, shape’s function to blend comfort and style can be seen again. 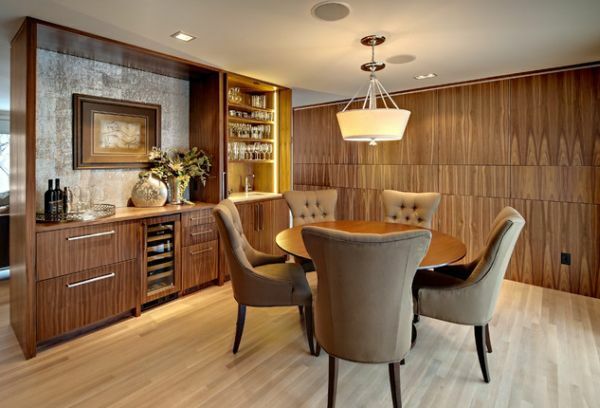 The curved chairs and curly light fixtures work well against the harder lines of the table and cabinets. Texture You Want to Touch.